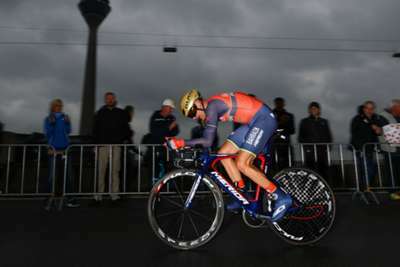 McLaren has announced a partnership with UCI WorldTour outfit Team Bahrain Merida. The British technology company, renowned for manufacturing for the McLaren Formula One team, will become a 50 per cent joint venture partner in the cycling team. Revealing the deal, McLaren stated its aims to join together in technical collaboration, human high performance, and marketing and commercial services. McLaren previously worked with Team GB's cycling team ahead of the London 2012 Olympic Games. "Racing, technology and human performance are at the heart of everything we do at McLaren," said chief marketing officer John Allert. "Cycling is something we have been involved with in the past and have been looking at entering for some time. "It is a completely natural fit for our skills and our ambitions and a perfect partnership with Team Bahrain Merida, who have the right vision and approach for the future. "We will be working tirelessly in the months ahead as we know the world of professional cycling is home to some of the best athletes and competitive teams in the world of sport."